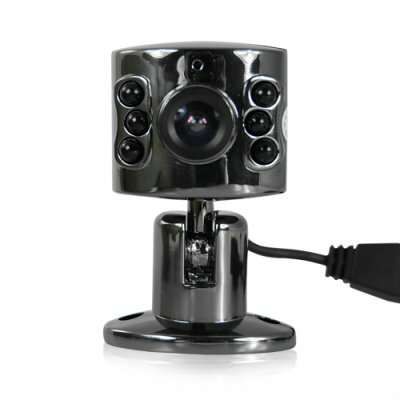 Successfully Added Wired Mini CCTV Camera - Color CMOS Sensor - NTSC to your Shopping Cart. This is a perfect device to keeping an eye on sensitive areas without anyone ever being the wiser, as well as an inexpensive and easy to set up security system anyone can set up on their own. With both audio and video capturing ability, as well as AV connection, this is an all around camera that will not disappoint, and comes at a price that will definitely never disappoint. on 2010-06-04 15:34:36 Buy this one. Very good image, nearly as good as the $99 IP cam I bought with it. I haven't tried night vision with IR because the night vision under a street light is very good. IR is not needed under a street light and you can see color at night. It will resolve individual trees at the horizon, but it will not read a license plate nor resolve a face 15 meters away. Neither would the $99 camera that is fifty times its size and eight times its price. I'm very pleased with this item. Fantastic little unit for such a great price. Definitely a much better quality picture than one I bought a year ago from a local store for over five times the price. I think I will buy a few more for family friends for their homes. I ordered this camera with the usual apprehension (you know what I mean). I just hooked it up and I have to say I am happy. I bought a similar one for about 2x the price and it has (at best) a less than desirable picture. One thing that I like is that looking toward a light source always causes problems, this camera does much better than the norm. It's pointed toward a bright window and when I stand in front of it I can still see myself clearly.